In Illinois, How Does The Process Work? Workers’ compensations claims are governed by state law and administered through the Illinois Workers’ Compensation Commission. The commission maintains various sites throughout the state of Illinois where arbitrators are assigned to resolve disputes and adjudicate claims. You have the right to file a Workers’ Compensation claim with the Illinois Workers’ Compensation Commission immediately after an injury. This is true even if you start receiving benefits to which you are entitled, as the necessary investigation—the discovery part of the process—can begin immediately. It is easy to determine when a single accident produces the injury, but more difficult to calculate when the injury is caused by repetitive stress over time, as in the case of carpal tunnel syndrome. Therefore it is important to consult an attorney to ensure your rights are protected from the outset.  Even if you are already receiving benefits through the compensation carrier, it is important to safeguard your right to medical treatment beyond the originally agreed-upon period for treatment. Reaching a settlement with the compensation carrier is an option; however, it might be risky: Direct settlement with an insurance carrier terminates your right to medical treatment under the carrier’s coverage. A person’s health insurance may not accept responsibility for a work-related injury. Should you need treatment at a later date as a long-term, unforeseen result of the injury, you might be left footing the bill. By arbitrating the case in the Workers’ Compensation Commission, claims for medical treatment or additional permanent disability can be preserved. Consult with an attorney to fully understand the ramifications of each option. You also might have the right to collect Social Security Disability benefits in addition to your workers’ compensation benefits.